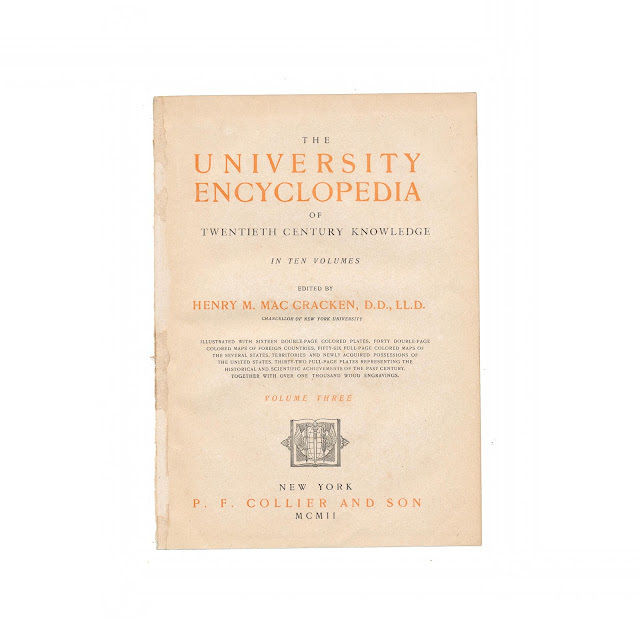 This antique print measures 10.5 x 9 inches and comes from a disbound volume of "The University Encyclopedia" published by Collier and Son in 1902. Image of the title page is presented for reference and is not included in the sale. 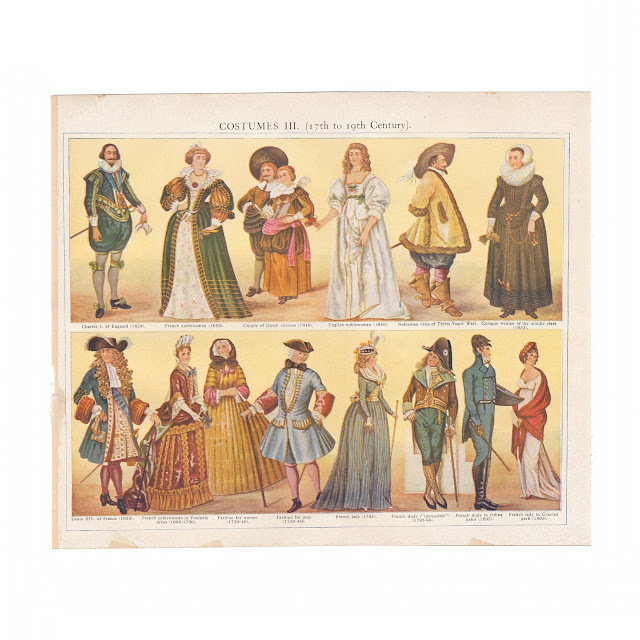 This print features color examples of various historic fashion and dress from the 17th to the 19th Century. It's generally clean and crisp with little wear, but shows some browning. Shows rough edge from where it was bound into the book. Center fold.